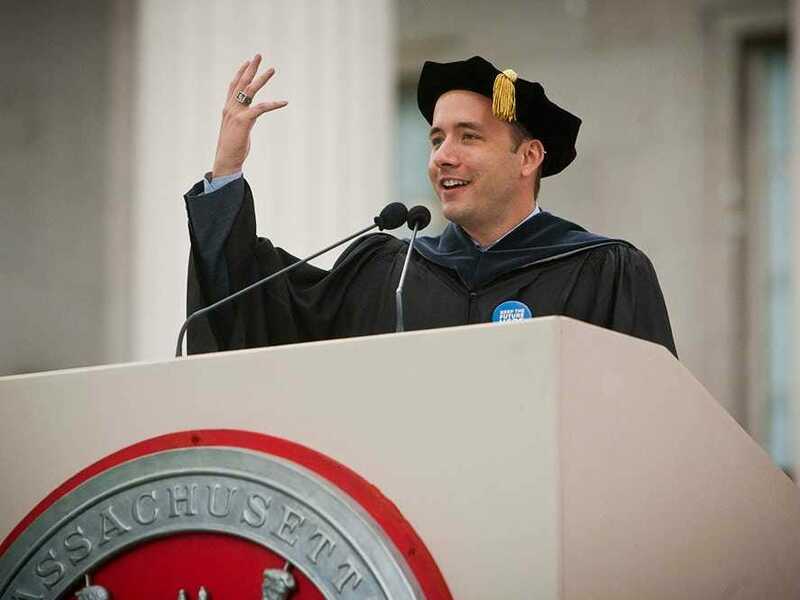 During a commencement speech at MIT, Drew Houston told students his advice to his younger self would involve a tennis ball and the number 30,000. At Web Summit in Dublin on Tuesday, CNN’s Laurie Segall asked Houston to clarify what two things mean. Houston said the tennis ball reminds him to work on a business he’s obsessed with — like a dog who is focused on retrieving a tennis ball. He once started an SAT prep company and lost interest; he later realised it wasn’t a problem he cared to spend a lifetime solving. The number 30,000 symbolizes the number of days are in the average person’s life. By the time Houston realised that he was already down 8,000 days. Another thing he’d tell himself is you can learn a surprising amount of information in five years. Houston used to search for the top books on Amazon in marketing, sales and business and read them all. He’s also learned that some of the best business leaders in tech were engineers first and taught themselves business on the job. Houston believes it’s very hard to do the reverse and be a businessman who scrambles to get technical.